Study suggests increased risk of schizophrenia in heavy methamphetamine users ~ Health Matters Today! 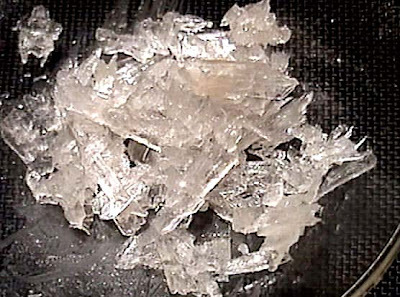 In the first worldwide study of its kind, scientists from Toronto's Centre for Addiction and Mental Health (CAMH) found evidence that heavy methamphetamine users might have a higher risk of developing schizophrenia. This finding was based on a large study comparing the risk among methamphetamine users not only to a group that did not use drugs, but also to heavy users of other drugs. "We found that people hospitalized for methamphetamine dependence who did not have a diagnosis of schizophrenia or psychotic symptoms at the start of our study period had an approximately 1.5 to 3.0-fold risk of subsequently being diagnosed with schizophrenia, compared with groups of patients who used cocaine, alcohol or opioid drugs," says Dr. Russ Callaghan, the CAMH scientist who led the study. Dr. Callaghan also found that the increased risk of schizophrenia in methamphetamine users was similar to that of heavy users of cannabis. "We really do not understand how these drugs might increase schizophrenia risk," says Dr. Stephen Kish, senior scientist and head of CAMH's Human Brain Laboratory. "Perhaps repeated use of methamphetamine and cannabis in some susceptible individuals can trigger latent schizophrenia by sensitizing the brain to dopamine, a brain chemical thought to be associated with psychosis." Dr. Kish also cautions that the findings do not apply to patients who take much lower and controlled doses of amphetamines or cannabis for medical purposes. "We hope that understanding the nature of the drug addiction-schizophrenia relationship will help in developing better therapies for both conditions," says Dr. Callaghan. In an earlier study using California hospital records, the researchers found evidence for a possible association between heavy methamphetamine use and Parkinson's disease.